Yesterday’s lectionary reading was 1 Samuel 3. My “call” was not an audible voice. I did not hear someone calling my name or dream prophetic dreams. 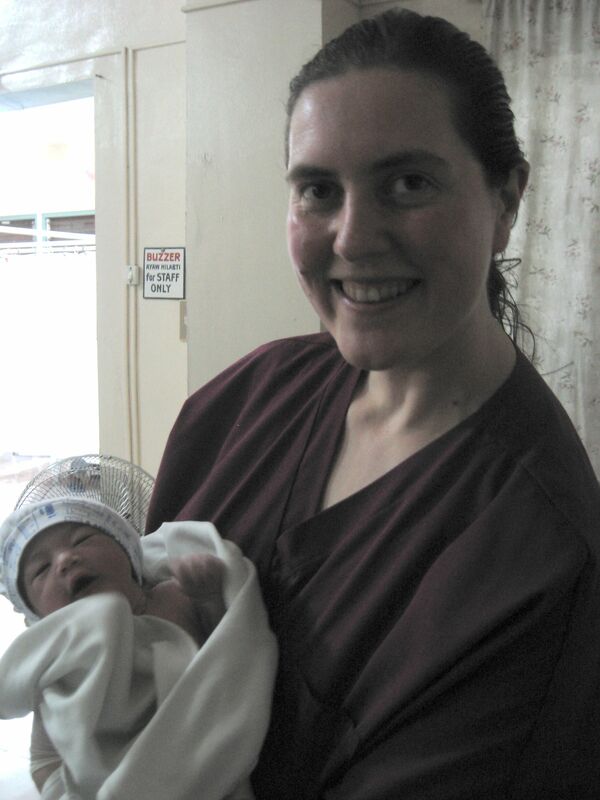 But from the first week that I spent in Davao in 2009, I had a deep desire to return and be a less transient participant in the ministry of the birth center there. I felt that a flame had been lit inside me: a small but persistent and unquenchable longing. When I came back to Ohio in 2009 I jumped right back into my busy life and the spark was buried, hidden, and often forgotten for days or weeks at a time. I looked at my full life, my husband’s career, our large family, and my increasingly busy midwifery practice and did not see how this abiding desire to care for mothers and babies in a missionary clinic on the other side of the world could possibly be reconciled to the place that God had put me. So I gave myself wholeheartedly to life where I was and occasionally felt irrationally strong pangs of homesickness when something reminded me of Davao. My second trip, in 2010, came together on the spur of the moment with less than a week’s warning. God’s hand was apparent in the myriad details that all fell into place in less than 24 hours. While my ostensible reason for the trip was an eleventh-hour effort to complete certification requirements I was determined that what I was doing as a midwife must never be about the numbers, but about the people. I would go with an open heart and a desire to be a blessing and try my best to forget that I needed to document a certain number of births within a fairly tight deadline in order to sit my exam that year and become a Certified Professional Midwife.